Bursting with all sorts of sunshine-y citrus deliciousness, it's no wonder we call it "Super." 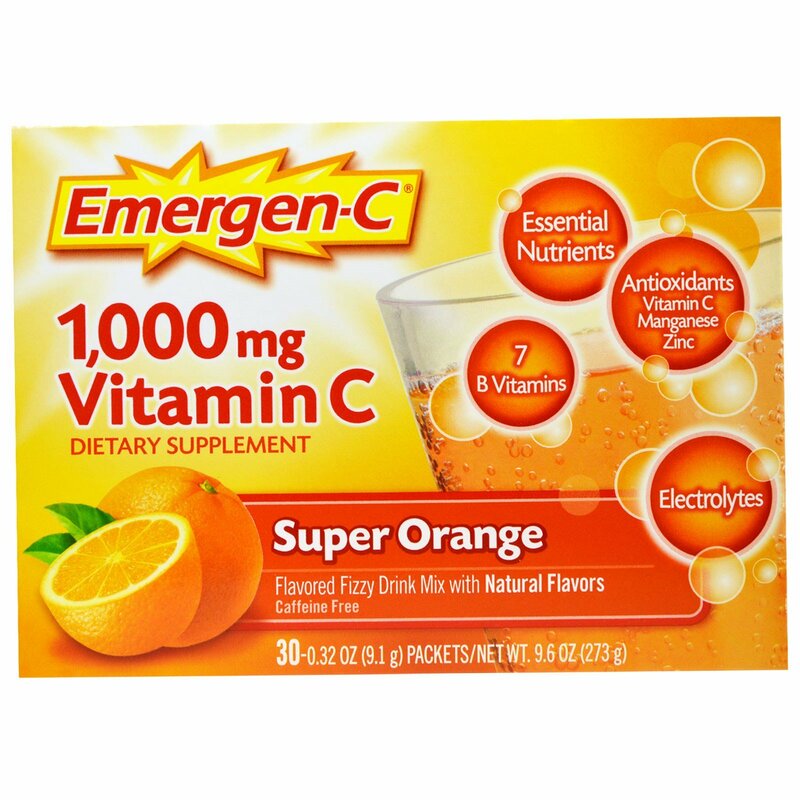 With each sip, you can feel the essential nutrients flow through your body in a wave of Emergen-C rejuvenation. If feeling good is your thing, you found the right box. 1,000 mg of vitamin C plus other antioxidants zinc and manganese support your immune system. 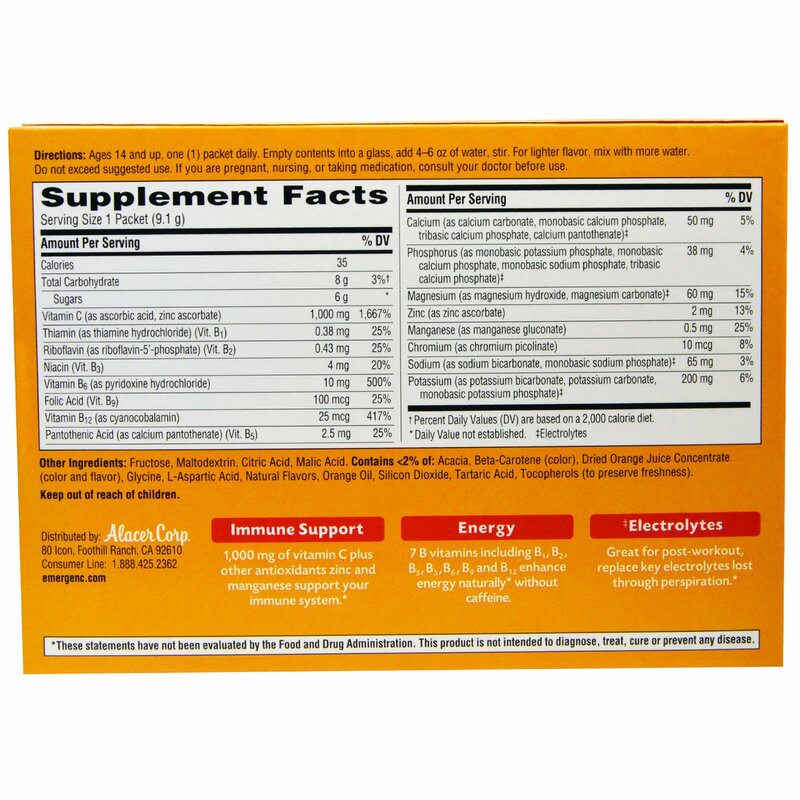 7 B vitamins including B1, B2, B3, B5 , B6, B9 and B12 enhance energy naturally without caffeine. Great for post-workout, replace key electrolytes lost through perspiration. Ages 14 and up, one (1) packet daily. Empty contents into a glass, add 4-6 oz of water, stir. For lighter flavor, mix with more water. Do not exceed suggested use. If you are pregnant, nursing, or taking medication, consult your doctor before use. Fructose, maltodextrin, citric acid, malic acid. Contains: <2% of: Acacia, beta-carotene (color), dried orange juice concentrate (color and flavor), glycine, l-aspartic acid, natural flavors, orange oil, silicon dioxide, tartaric acid, tocopherols (to preserve freshness).